Travelers is developed and designed with best practices in mind. This way, you can bet your new theme will work great. Keep your visitors communicating with you throughout the web! Traveler includes social icons widget so your visitors can find you wherever you are. Highlight your posts with the exclusive touch and responsive slider. Simply choose what post category appear and enter number of posts. 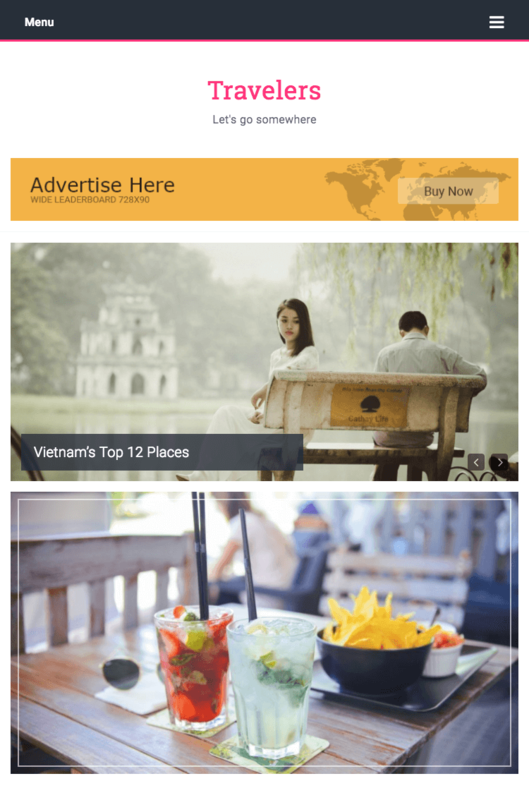 The Travelers contains 4 footer widgets, helps you show more informations in footer area site. Install demo data with one click in few minutes and you can make your site just like our demo site. 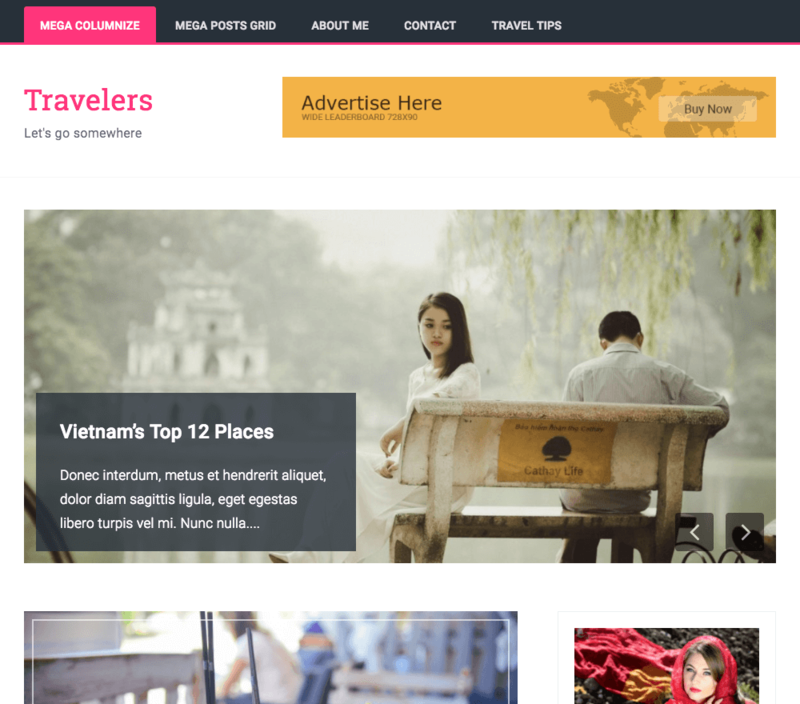 Did you know there is a FREE version of Travelers Pro? Travelers is a free theme. Please only purchase the FameClub if you want our paid themes too.